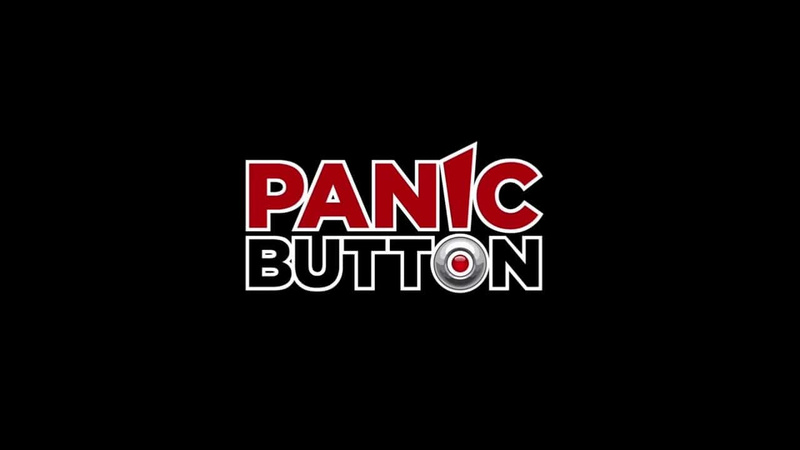 Panic Button Wants To Work On A "Diverse" Range Of Games, Switch Ports Can Be "Really Challenging"
For many, the name 'Panic Button' is almost synonymous with the Nintendo Switch (and especially the process of porting large, third-party games); the studio's recent work on titles such as DOOM and Wolfenstein II: The New Colossus has earned it a great deal of respect from owners of the console, and it's strangely easy to cast aside its earlier projects and focus solely on this ever-growing relationship with Nintendo. Of course, the studio has also released a number of original games across Wii and Xbox 360, and has also worked on ReCore for Microsoft platforms and Subnautica for Xbox One and PS4, and it would appear that the team wishes to keep working on a wider range of projects, rather than being tied down to one console. In an interview with GamesIndustry.biz, Panic Button's director of development Adam Creighton has spoken of the desire to work on a "diverse" range of games across all platforms. "I'm a portfolio person, and I want to have a lot of diversity in the kind of work we do on the platforms. We have really good partnerships with Microsoft, Nintendo, Sony, and other folks, and for the viability of a studio you want to have that expertise across the board. "Even with our recent successes, people remember the most recent thing you've done. And we always want to make that excellent. So people are looking at the Switch work we're doing and we're proud of that, but we're also doing Subnautica for PlayStation 4 and Xbox One, we've done ReCore for Xbox One and Windows, and a lot of other projects on other platforms. We're gamers, and we like to make the kind of games we want to play, so we'll always be doing all sorts of diverse work." 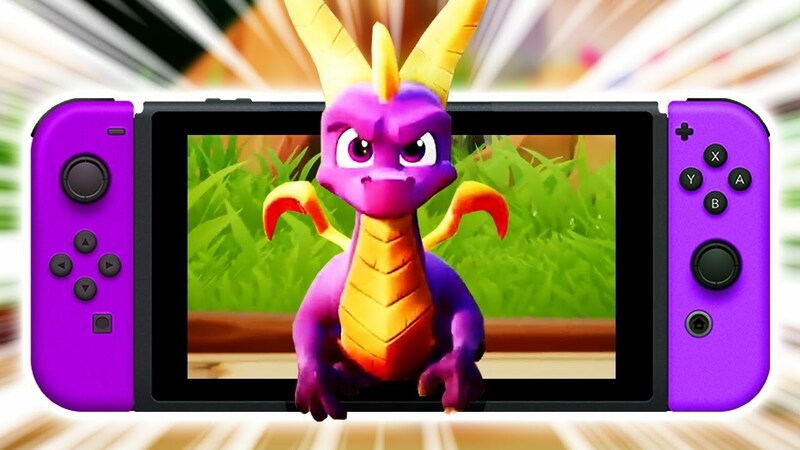 That's not to say that the studio isn't happy with its work on Switch - far from it, in fact - but there seems to be a hunger within its walls to create the best work it can, wherever that may be. Creighton goes on to say that "at some point, we want to do our own stuff, or something unique and original with someone else's stuff", noting that they "like to make projects that are special for the target hardware". Elsewhere in the interview, which you can check out in full right here should you be interested, he talks about the Switch in particular, talking about the challenges of recent ports and why Panic Button has been so keen to work on games for the console in recent times. "Nintendo Switch is a cool device because you use it on the go, you use it docked, and you use it in both modes and move back and forth. So we've done things with the control schemes and motion, but also bringing these AAA big titles in their true form to this hybrid hardware has been really challenging. We like a challenge; it's part of why we go after these things. We wanted to both broaden those properties' availability to a whole new group of people, but we also wanted to broaden the Nintendo Switch as a platform. We really feel like core games make so much sense on that hardware that we want to bring those over." Have you enjoyed Panic Button's work on Switch? What would you like to see over the next few years from the studio? Let us know your thoughts in the comments below. I like what they've done. Really help make the switch shine. I haven't got their games yet but the fact they can get then on Switch and make them run well is phenomenal. That says a lot about their skills. Here's hoping they still help bring more stuff over in the future. Sadly most AAA developers seem to ignore the Switch and think it's market only wants party games and FIFA. oh well. if a game isn't coming switch. i'll just get that game on PC or PS4. But they’re really good at those challenging switch ports. I never heard of Panic Button, until the Switch Doom port. 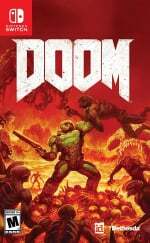 My brother has Doom for the Xbox One, and we were both amazed at how well this game translated to the Switch. Panic Button is an extremely talented studio. I wish them well, in however they choose to move forward. I would also wish them luck, but, they definitely won't need it. 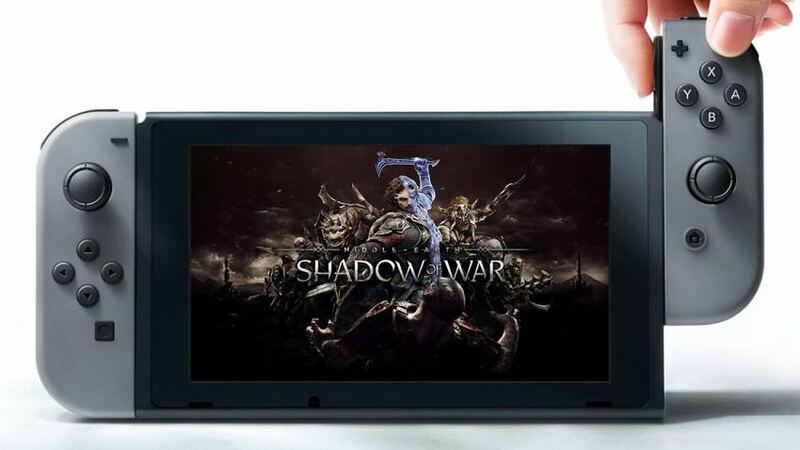 I only hope they expand their portfolio when it comes to the games they port to Switch. 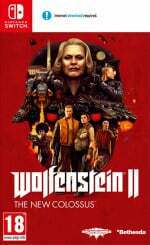 I'm amazed at the quality of DOOM, Rocket League, Wolfenstein, and Warframe, and I'd really love to see them tackle some AAA single player/non-shooter games sometime. May I say it...Fallout? Maybe even the Witcher 3? If there was ever a company Nintendo needed to buy! I would put my request in now Fallout3/4 and a Bioshock collection. That's just the start of it too! I don't think you have looked at a recent Switch library of games. There may be a bit of a delay but a lot of AAA titles are on the Switch and coming to the Switch. They just got Dragon Ball Fighter Z, and Doom Eternal is launching on the Switch day one along with the other consoles. So either you have your head in the sand, or you just didn't know. @steventonysmith what I mean is that compared to the other systems there aren't as many AAA games on it. Even the Wii and Wii U got COD ports even though it was lesser Hardware. I think the Wii U's failure scared off developers, as triple A games for Switch are only coming out once every few months. @AxeltheBuizel By most you mean... EA and to a lesser degree Warner Brothers Interactive and Activision-Blizzard? Because Ubisoft, Bandai Namco, Square Enix, Capcom, Koei Tecmo, Bethesda and Sega are all putting a good number of non-party games on the system. Even Activision-Blizzard has Crash Trilogy and Diablo 3. @link3710 yeah, you are kinda right. I guess it just feels like there isn't because there's months between major big game releases for Switch. That's nice... Now port Resident Evil 7 and Resident evil 2 remaster, and Kingdom Hearts 3 to the Switch, Panic button! Hopefully, they won't make the shovelware quality games that they released for the Wii when they started out like ''Go Play Lumberjacks'' and ''We Wish You A Merry Christmas''. @exopiscea pffft. Why stop at that? Why not GTA V and all DLC, and Kingdom Hearts "The story so far" which has all of the games in one package, and the Mass Effect trilogy! Panic Button did ReCore for XBox and Windows? That was Armature and Comcept....I wonder what role Panic Button played? @NEStalgia I think they did the port to windows is what it was saying. @Frendo I agree with you. I think we’ll be in for some good surprises in the next couple of years. The Switch is hitting it’s stride and it’s getting noticed. No offense to them but Astro Duel Deluxe wasn’t my cup of tea. Looked neat, but they’re obviously capable of a lot more than that. I anxiously await their future works. Here's your suggestion for your next port, Panic Button. @AxeltheBuizel depends on what you're looking for. Next month will kill my wallet, with Diablo 3, Civilization 6, Ark Survival Evolved, Katamari Damacy, Pokemon and Spintires Mudrunner coming out all the same month. Yeah, I understand Panic Button on wanting something else. Still, here’s hoping they keep porting stuff as well. They have a good attitude in regards to Switch and its audience. We need more of that. PB you shut your piehole and keep pumping out those Switch ports. Sarcasm. Haha. @Equinox Bare in mind that although of course talent is required, it mainly requires money.. in that most other devs, could probably do the same thing, but don’t want to spend the money or the time optimising their games to do so. What that means is that if Panic Button decided to make their own games, there would potentially be other developers that could be utilised to do the same thing, if money was thrown at them. Personally I think that Panic Button have done a great job with the current ports - however I do believe they probably could have done even better with a bit more time (and budget I assume?). As long as their games come to Switch, I don't care either way. I would rather see them work on original I.P than port something I've already played months ago on my PC. Panic Button is impressive no doubt, but I think the most important contribution to the Switch they have made is simply proving that you can bring games like Doom and Wolfenstein to the system. But most developers are simply too lazy and cheap to put the effort in. PS4 and Xbone have almost the exact same specs, so it's really easy to put games on those machines. With the Switch they actually have to put effort into the project, so they aren't willing to do it. somebody let them produce an original IP fps for the switch! Keep em coming Panic Button!!! I've enjoyed your work, and am thrilled we're getting some of these titles that often skip Nintendo hardware. Many thanks for stepping up to thr challenge! I've definitely bought their games on Switch. I even bought ReCore on Xbox One. I hope Panic Button are around for a long time. Has everyone forgotten that they did Rocket League too?